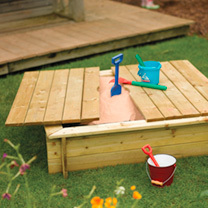 Why not have a day at the beach in your own garden! Note: Product does not come with a liner. Dimensions: EXTERNAL - 300mm height, 1200mm width, 1200mm depth.